For various reasons, the days of close doctor-patient relationships are over, at least for the most part. Most doctors only listen to their patients for eleven seconds before they interrupt and redirect them. With such limited interaction, it is almost impossible for doctors to assess their patients’ symptoms and properly diagnose their conditions. Compounding matters, many doctors do not order a full range of diagnostic tests. Instead, they rely on their instincts to diagnose conditions. 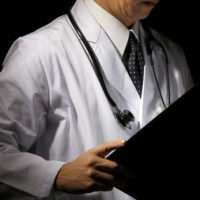 As a result, medical malpractice, and specifically a failure to diagnose, is quite common in Florida. Doctors tell some patients that they have conditions they do not have; in other cases, the issue is a failure to diagnose. In either case, the resulting damages are usually substantial. In the minds of many doctors, cancer is either a lifestyle disease or a genetic disorder. Doctors hardly ever diagnose lung cancer in nonsmokers or any kind of cancer in people with no family history of the disease. Furthermore, there are many different types of cancer. Some are quite treatable for long periods of time while others are very aggressive. So, an errant doctor could embark on the wrong treatment protocol. These blood flow anomalies usually occur in older people. So, if a young person has a stroke, doctors almost always diagnose another condition, such as vertigo or even alcohol intoxication. Without an in-depth look at the patient’s symptoms and comprehensive diagnostic tests. It is almost impossible to properly diagnose a heart attack. Not all these episodes involve chest pain or other signature symptoms. Moreover, the heart is such a vital organ that even slight damage may cause serious illness. So, many people do not get the medication or treatment they need, and the damage gets worse over time. This disease has symptoms like fatigue and joint pain. Upon hearing these symptoms, many doctors assume that the patient has chronic fatigue syndrome or perhaps arthritis. Moreover, lupus is very difficult to detect, unless the doctor uses certain kinds of diagnostic tests. If the doctor crosses lupus off the list after the cursory examination, these tests hardly ever take place. No diagnostic test identifies Parkinson’s Disease. So, to diagnose it, doctors must rely exclusively on the physical examination. Since the hand tremors, balance problems, and other symptoms mimic Alzheimer’s Disease, head injuries, and a number of other conditions, proper diagnosis is difficult. An extremely small bite from an extremely rare kind of tick causes this disease. It’s very easy for both doctors and patients to miss the bite. As a result, doctors tell some people with Lyme disease that they have mononucleosis, the flu, or meningitis. This degenerative muscle disease begins very subtly. If caught early enough, it is sometimes treatable with physical therapy. Unfortunately, early detection is rare. Instead of MS, many doctors give diagnoses like a virus or bipolar disorder. MS is also difficult to detect using diagnostic tests. Medical misdiagnosis is a serious problem in Florida. For a free consultation with an experienced medical malpractice lawyer in Brandon, contact Reed & Reed. We have four area offices (St. Petersburg, Lakeland, Tampa, and Clearwater).